The Melton RSL Sub-Branch have an office at the Melton Country Club and hold their meetings and many of their activities here. For more information please contact the office on 9743 6860. Members receive a bi-monthly Melton Country Club members only magazine. 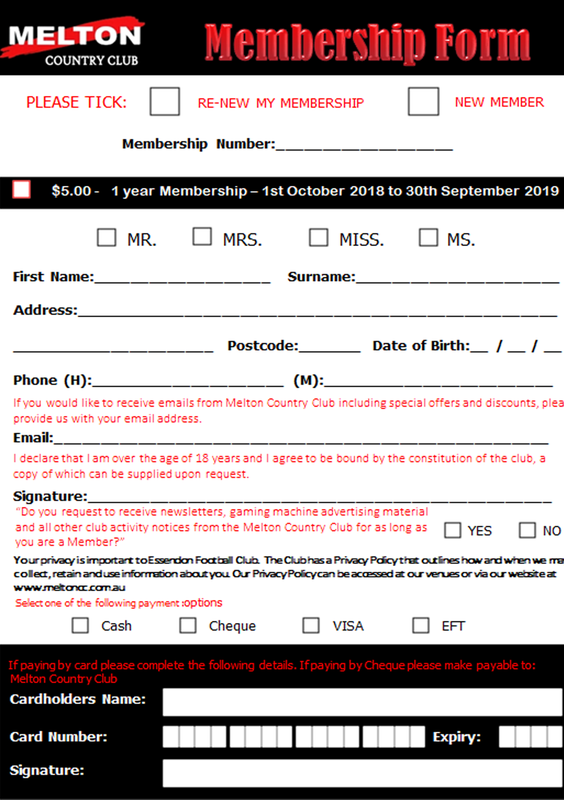 Entry into Melton Country Club members only competitions and promotions. Frequent visit & random prize rewards by swiping your membership card upon entry.